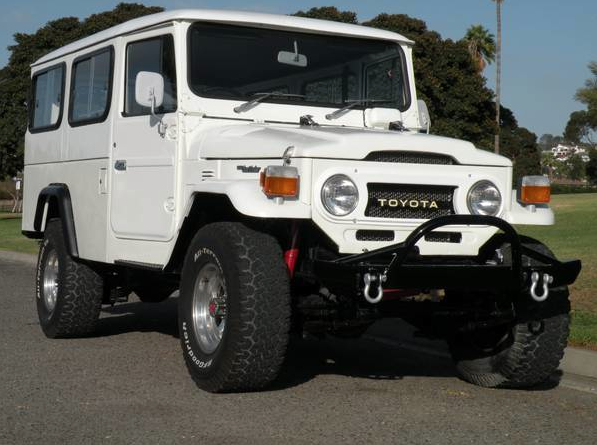 Earlier this year a Toyota FJ40 sold for a mind bending $118,000, and in the process opened the floodgates for vintage FJ sales across the country. It seemed no sum was too great to deprive those with a severe case of the wantsies. It would be tough to say if that little FJ micro-bubble has burst, but it does seem as if prices have become a bit more realistic. 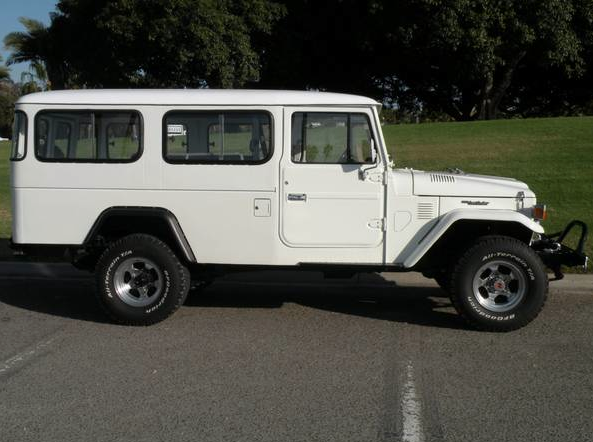 Take for example this beautiful Troopy and its realistic and attainable price tag of just $23,000. 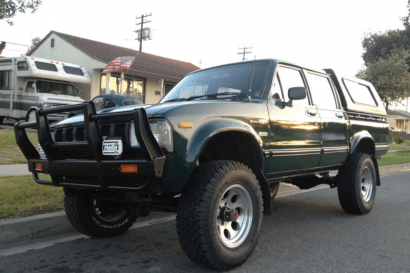 It’s a super cool truck and miles away from that $118,000 exotic. 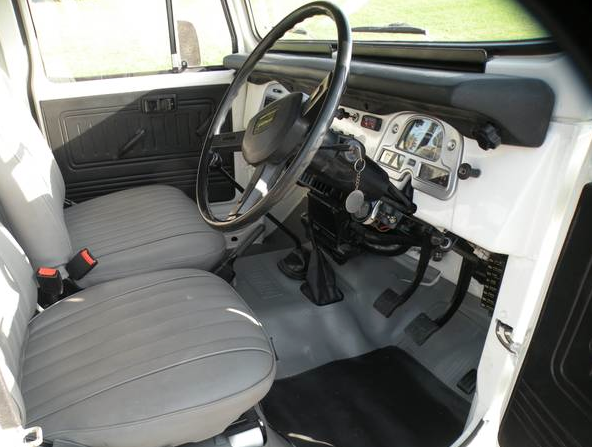 Overall this truck is in excellent condition and encourage the buyer to see it in person. 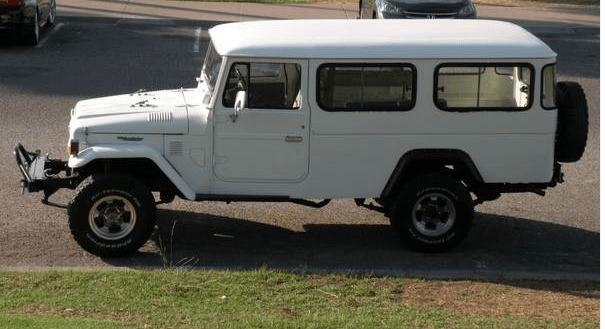 The color is off white under a pure white roof with matching grille. I am NOT a mechanic but will try and answer all questions to best of my knowledge. Also I will email detailed pictures of any part of the truck. The truck will be sold AS IS without any type of warranty. I recommend a personal inspection by the buyer and I am also willing to let the buyer bring it to a mechanic for further inspection. The truck drives great and the LPG conversion is amazing, you can actually flip the switch and change over the fuel while driving down the road. These trucks are very solid and were made to go slow and steady straight up a mountain or through a river. 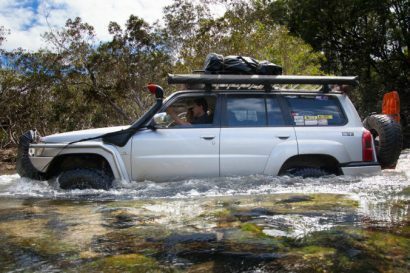 They were not made to go 80mph down the freeway or to handle like a race car so if you want those qualities then Id recommend buying a FJ Cruiser. 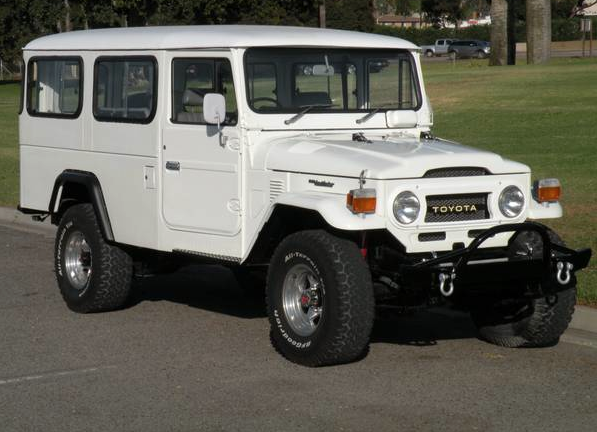 But if you want the most stylish/durable 4×4 truck built to drive to your Landcruiser club meetings, or have people wave, stare and ask what kind of truck it is then Id say buy a FJ45 Troopcarrier. 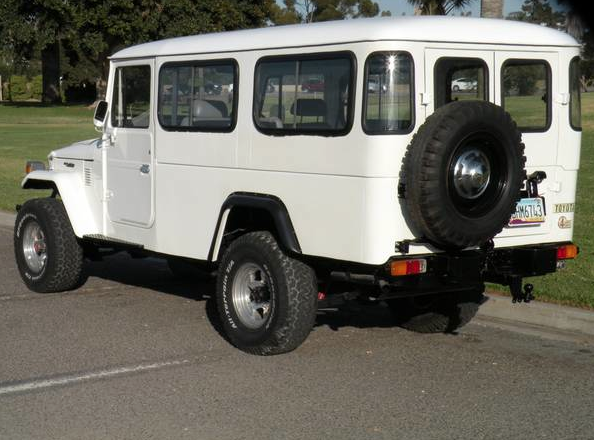 They are very easy to work on and use all the same parts as the common FJ40s. For parts and more information check out Specter Off Road, CCOT or go to IH8MUD.com. They can get you anything and answer any question you’d ever have about this vehicle. The truck will be sold with a clean Arizona title. The truck is right hand drive which is completely legal and very easy to get used to. 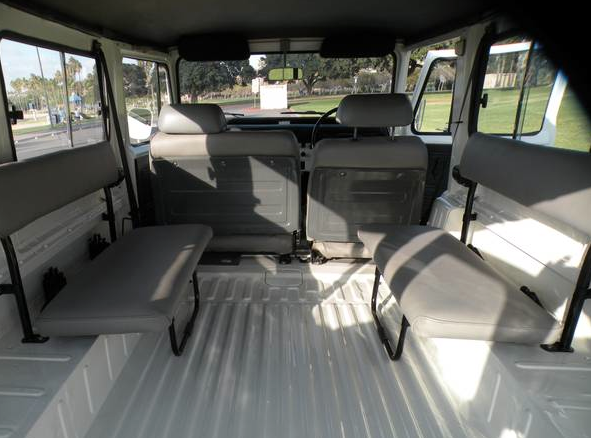 The truck is located in sunny San Diego and the asking price is $22,900. I am willing to help with shipping but it is the responsibility of the buyer to find and pay for a shipping company.